The Social Landscape: "Found this on Servant of Chaos. It was released by CMO.com and depicts a CMO's guide to the social media landscape. I think it's a simple and user-friendly model to start you off with. 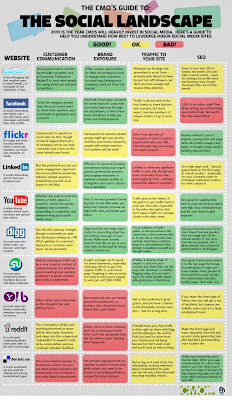 Which of these social platforms are you currently using and how accurate is this guide to you?